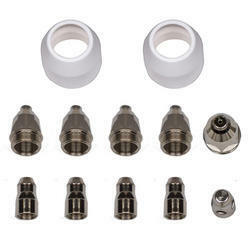 Techpro Plasma Torch parts,Techpro Plasma Consumables,MPT-16 Plasma Consumables. 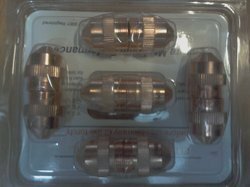 MPT-30 plasma Consumables,Plasma Consuamables Ep. In order to comprehend and meet the diverse requirements of esteemed clients, we are able to offer a superior range of EP Plasma Consumables, Plasma consumables, Plasma spares etc. We are also offering a wide range of products to our client's like Epe plasma torch, p80 plasma torch, p80 plasma consumables, aircraft plasma torch, aircraft plasma consumables, plasma cutter parts, plasma torch parts, hypertherm plasma consumables, hypertherm consumables, etc. 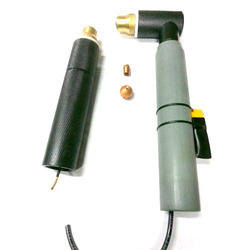 Our products are known for their good conductivity, excellent dimensional accuracy and high tensile strength. We trade in Plasma Consumables superior quality raw material and latest techniques. These are made in various specifications based on the requirement of the client. These are available at cost effective price. EP Plasma Torch parts, EP Plasma Consumables, EP plasma consumables, MPT-16 Plasma Torch, MPT-30 Plasma Torch parts.Techpro Plasma Torch, Plasma Consumables EP, P80, AP, TC etc. Being a prominent organization our motto has been to deliver our industrial patrons with high level quality EP Plasma Torch Consumables. The offered range has been made from the most high quality material availed from the best vendors present in the market. We offer this consumables range to our customers at comprehensive market leading price range. India’s largest supplier of Plasma Cutting Products. EP plasma torch, EP plasma torch parts, EP plasma torch consumables, EP plasma consumables, MPT-10 Plasma torch, MPT-16 Plasma Torch, MPT-30 Plasma Torch, MPT-40 plasma torch, MPT-50 Plasma torch, Plasma torch parts, MPT-16 plasma torch Parts, Mpt-30 Plasma torch parts, Techpro Plasma Torch, Techpro Plasma Cutting torch. 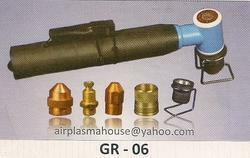 Customers from the major industries can avail from us this EPE Plasma Torch. 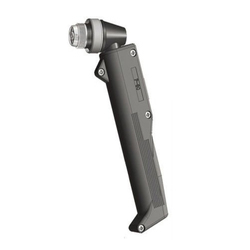 The offered torch has been in wide demand for its features of study composition and longer service life. We have given complete attention to the standards of this torch and have quality checked it thoroughly before the final dispatch. Owing to the immense experience and a competent team of personnel, we are able to dispatch a superior range of EPE Plasma Torch Parts. The offered range is manufactured utilizing premium grade raw material, which is sourced from dependable vendors of the market. In addition to this, the offered range of torch parts is available in different customized specifications and forms in accordance with the emerging requirements of esteemed clients. 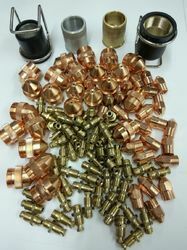 Being a coveted firm engaged in the process of manufacturing and supplying our clients with a quality range of industrial plasma torches, we are also offering them with best quality EPE Plasma Brass Cap. 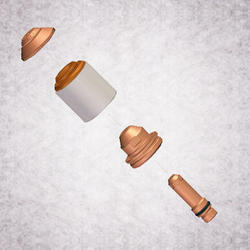 These caps are used as spare parts of these plasma torches and these can be availed from us at the most comprehensive and market leading price range. We have checked this product on different parameters to ensure its tandem with the benchmarks of quality. Bestowing upon the industrial expertise gained by us over the past year, we are offering our clients this range of Plasma Machine Torch. 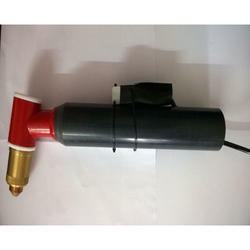 Customers looking for heavy duty machines for clear edge metal sheet cutting can avail this torch from us. It has an automatic work process and needs operation through membranes. 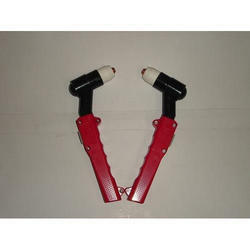 Ours is firm widely engaged in a sprawling process of supplying a best quality range of these EP Plasma Complete Torch. 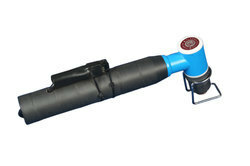 This torch has been widely used in a number of industries for sheet metal cutting. Made as per the predefined standards by us, this torch has been made using best quality raw material in the making of this range. Customers are availed this range at the most comprehensive and market leading price range. With immense experience and a competent team of able professionals, we are able to offer a supreme range of EP Plasma Torch. 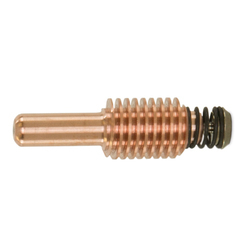 The offered range of torch heads is available in different customized specifications and forms in accordance with the emerging requirements of esteemed clients. In addition to this, the offered range of torch heads is made in strict conformation with the highest quality norms and standards. Ours is a firm widely indulged in the process of manufacturing and supplying Plasma Torch EPE. The torch products that we offer has been manufactured from the most high grade heat resistant material. Customers can avail this range from us at the most comprehensive and market leading price range. 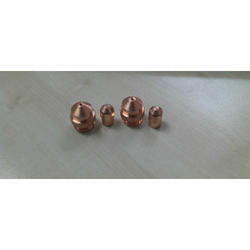 High performance plasma consumables, high performance plasma spares. High performance plasma cutter parts high performance plasma torch. 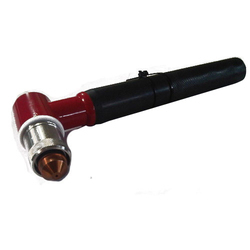 We are one of the leading Manufacturer, Distributor, Wholesaler of EPE Plasma Torches & consumables, EP electrode, EP nozzle, EP electrode holder with Contact tube, Front cap and Front cap with stand Guard. Manufacturer, Distributor, Wholesaler of EP Plasma Torch Consumables, EP electrode, EP nozzle, EP electrode holder with Contact tube, Front cap, Front cap with stand Guard etc. Our firm is a leading name, which is engaged in delivering a comprehensive range of Hypertherm Powermax 45 Torch Consumables. These hypertherm powermax 45 consumables offered by us are made utilizing premium grade raw material and latest machinery in conformation with the industry laid norms and standards. Along with this, the offered range is checked on number of characteristics to maintain its authenticity throughout the manufacturing process. Looking for EP Plasma Consumables ?